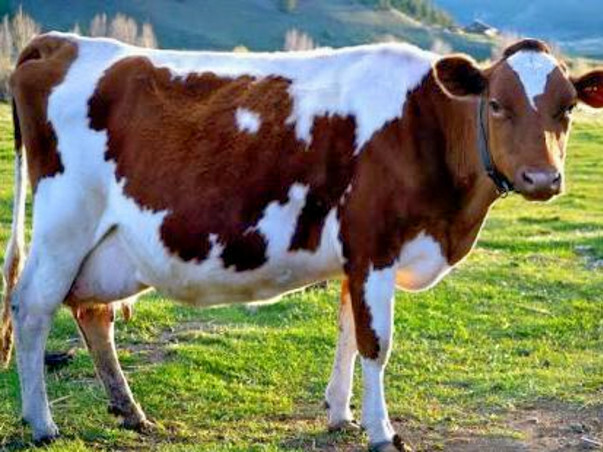 There are around 5 million stray cows living in India. At the one hand, cows are sacred for us Hindus, at the other hand they block traffic and cause thousands of road accidents every month. But no one seems to know what to do about them. But don't worry, we think "setting up new gaushalas Nationwide" is the best cure. Unfortunately we cannot work for the whole country right now, but with a title courage, we can surely do it locally. We are a group of 7 people, almost ready to start a Gaushala (initial capacity 300 cows) at outskirts Bhopal, near the village Haripura. We have already promised 12 acres of land in charity for this purpose. 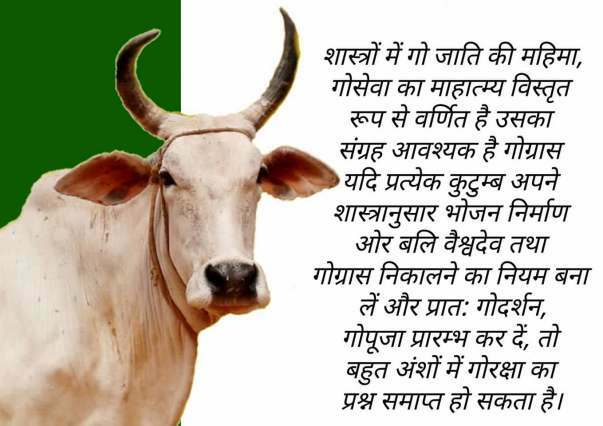 May mother cow bless the wonderful donor Shri Lakshman Singh. To move the non-profit project forward, we need your generous support, so we decided to start a fundriser here. We come from rural background and so are well trained in cattle keeping. We believe that after a year of successful operation, the Gaushala will become self-sustainable. The fund we rise here will be used in fencing the land, roof shading, cow catching, feeding and rearing, medical requirements, water bore well, Solar lights, and maintenance of the Gaushala premises. We are actively working to get our Gaushala registered by govt. of MP Goseva Aayog. We will be pleased to post here the updates about every single step we move forward. 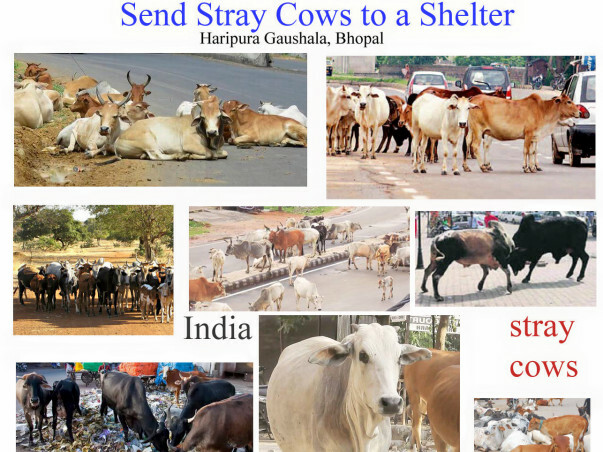 SAFE AND SECURE ROADWAYS: stray cows thrived in the recent years, and has become one of the main cause of traffic jams, accidents and subsequent death. Our main focus is to channel these cows to Haripura Gaushala to eliminate this big problem these days. 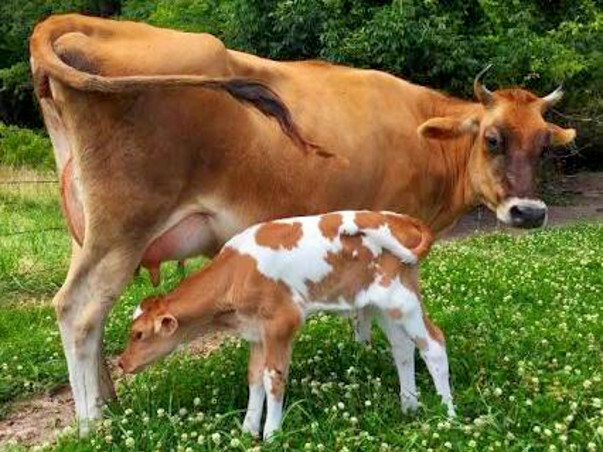 It will protect mother cows being blamed and scolded by non-believers. On the other hand, it will protect them from being slaughtered and traded. The initiative will also protect the Hindu religious sentiment. Come together and support us to do this good work. 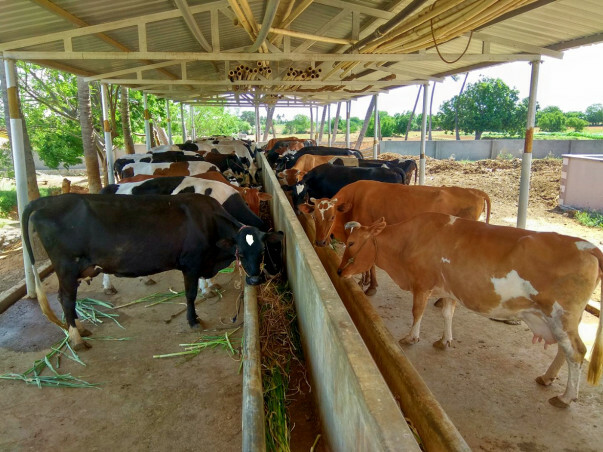 We not only focus on cities, but also the remote rural areas where stray cattle causes big harm on agriculture yield and have became a major threat for Farmers. EMLOYMENT OPPORTUNITIES: The project will open up doors of employment to hundreds of locals and veterinarians. ORGANIC FARMING: It will spark a new awareness in the area about organic farming. Cow dung we will use to make traditional fertilizer for Organic farming. Selling the fertilizer will support goshala's further advancement. 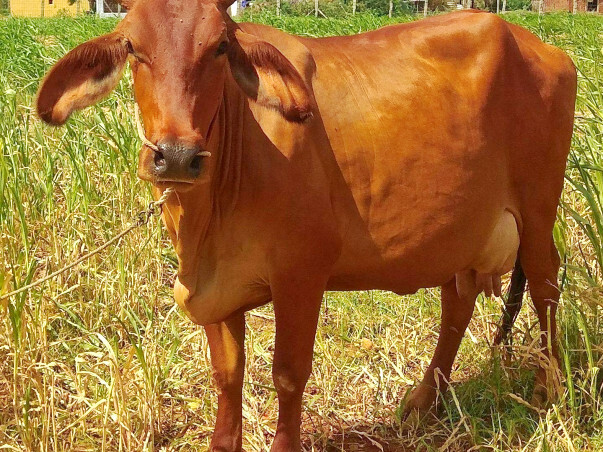 MEDICINAL BENEFITS: Cow urine collection for medicinal and cosmetic purpose. Selling this out will become the other source of Gaushala income. 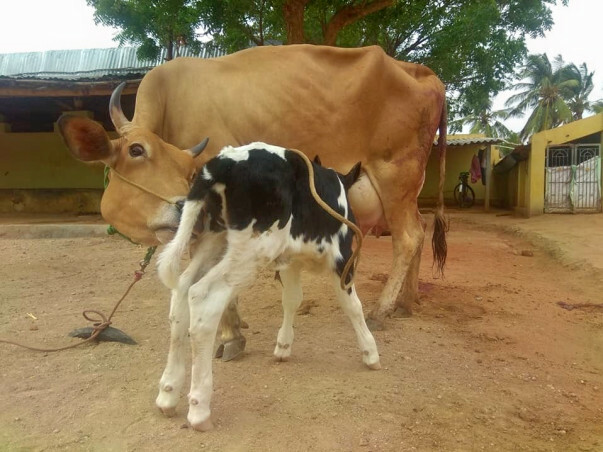 MILK PRODUCTION: Although milk production is our subsidiary goal, if we produce enough, it will add more to make the Gaushala self-sustaining. RELIGIOUS BENEFITS: As a Hindu it's our Dharma to keep, feed and protect cows. At the end, now we would like to thank you for reading our compagin. All of you are requested to come forward to fund us so that we continue working for stray cow welfare. You are requested also to share our compagin on social media so that many other donors could find us. Please keep in mind that your share also is nothing less than a donation. Looking forward to see your generous support.